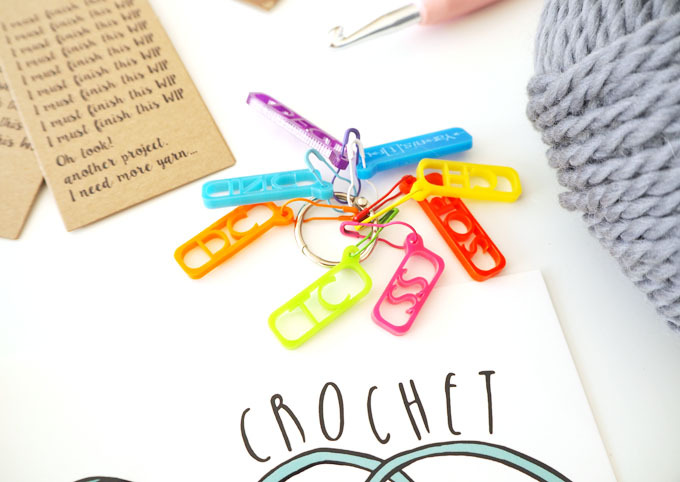 My favourite craft has long been crochet so when I discovered Crochyay Boxes, a subscription service full of crochet goodies I just had to order one for my own. 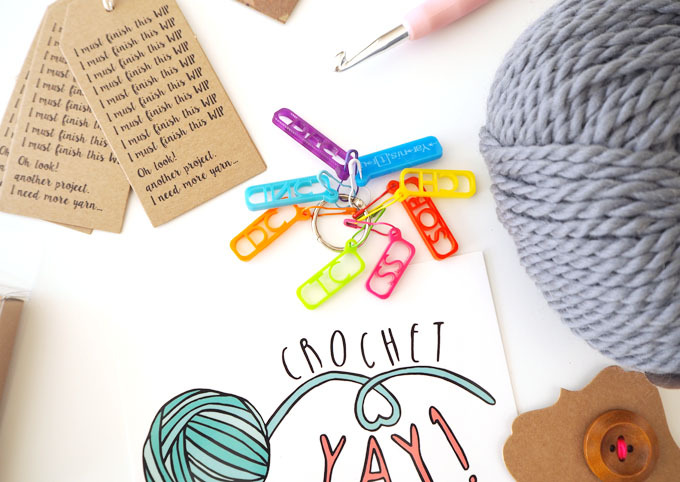 By signing up to receive a Crochyay Box every month you will be in for some crochet treats from fellow makers and crafters such as patterns, tools and ideas. 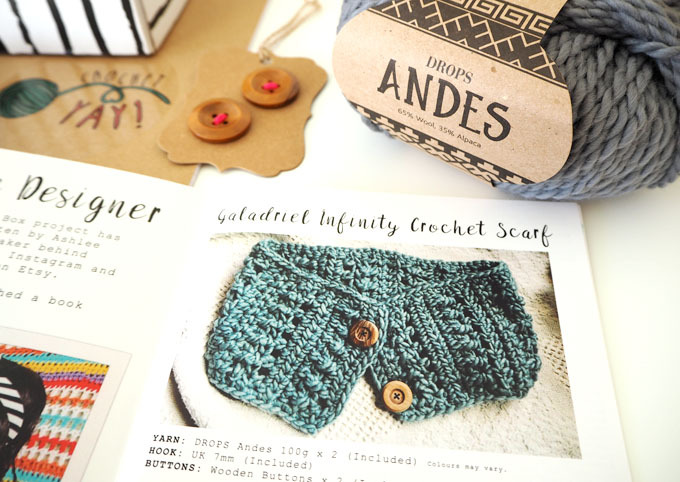 Here’s a sneak peek inside November’s Crochyay Box. The November box cost around £25, and I was amazed at how much I got within the box. To start I received two 100g balls of chunky wool (Drops Andes) in a rich grey colour, perfect for making something soft and snuggly. 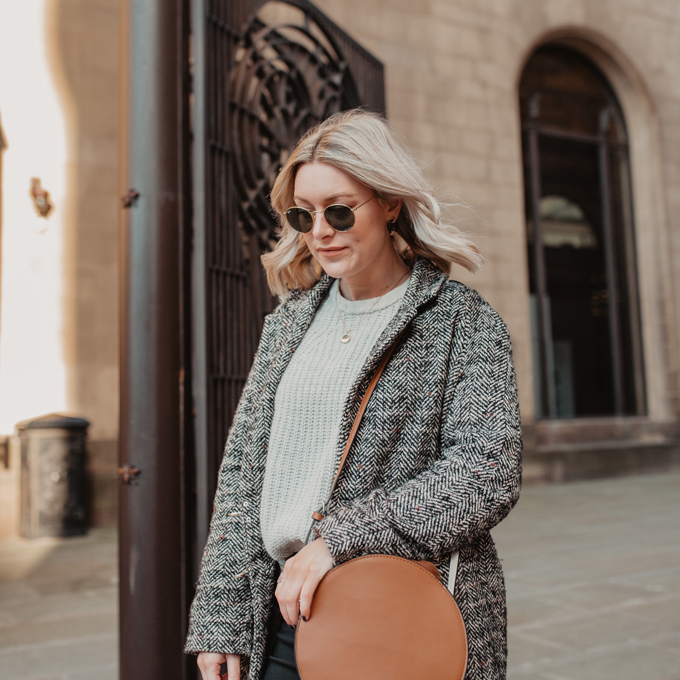 The pattern to co-ordinate with the wool is an infinity scarf from designer Ashlee Elle, a cosy winter warmer. The box also included a 7.0 mm crochet hook to make the scarf, I love the grippy handle of this hook it will make crocheting a pleasure. 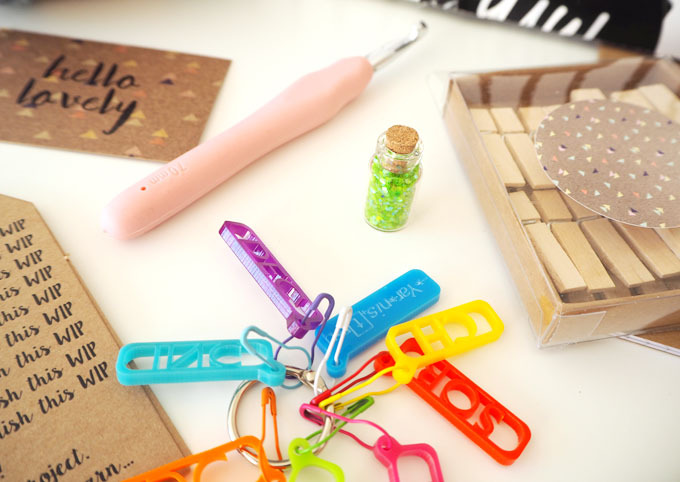 Other goodies include some quirky stitch markers from Yarnistry, which I can’t wait to use. 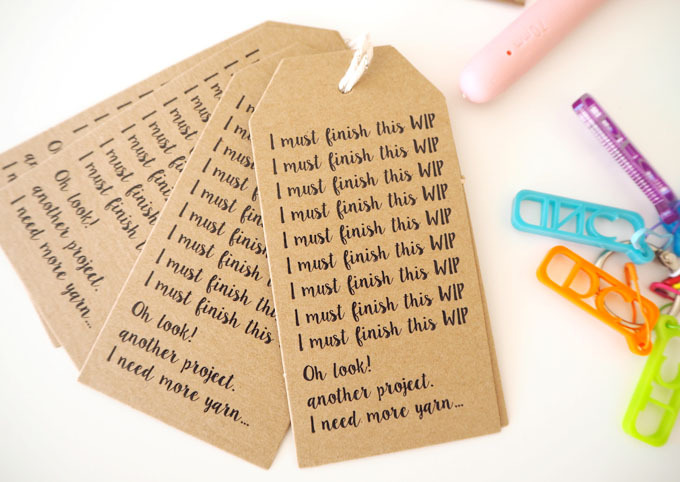 I don’t have any at the moment but find them really useful for keeping track of my work. There’s loads of little bits in the box that made me smile, it’s perfect for a craft geek like me. 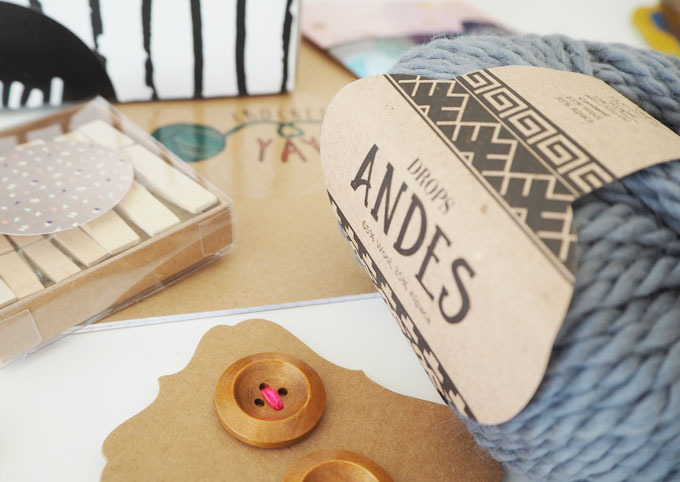 You get everything you need to make the project included in the box, but you could also use the wool for your own ideas. 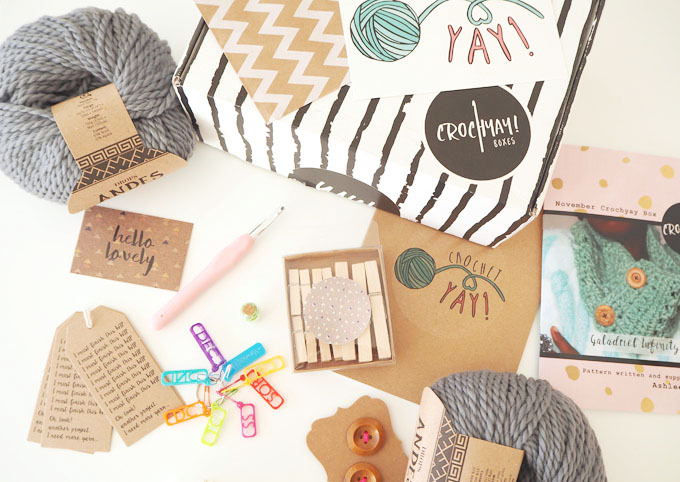 I would definitely recommend this craft box subscription for someone who loves crocheting and making. 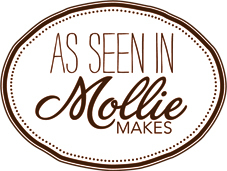 Great for beginners and keen crocheters alike. Check out Crochyay Boxes here.